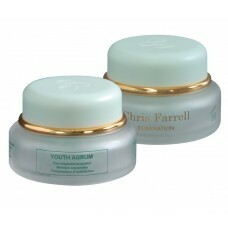 Elimination is an exceptional skin care line for lipid deficient and moisture-dry skin, which often suffers from eczema. 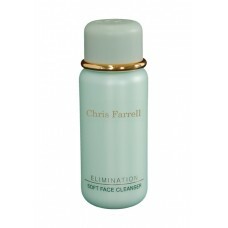 Elimination line has different facial skin care products: cleanser, cream and serum. Elimination is paraben-free, mineral oil, free, lanolin free and colorant free. Perfume used in Elimination is non-allergic. Basis element of Elimination is gamma linoleic acid, which plays a vital role in most parts of our body organism. This essential fatty acid is not produced in our body, thus it has to be supplied externally. Lipid deficient and moisture dry skin is a sign of lack of this essential fatty acid. In younger days, our skin normally appears fine, taut and well-circulated, however, skin begins to lose its moisture, with begin of puberty and with increasing age, skin may become hyper-sensitive. When not enough fatty acid is produced by the sebaceous gland, the protective layer of skin will become thinner, micro-scopical gaps on skin make it more susceptible for viral attack and harmful pollutant. Skin may become brittle, tense and painful; skin eczema with extreme skin itchiness and infected papule may be a result of this skin disorder. Gamma linoleic acid in combination with other very effective ingredients in Elimination, can work against this skin disorder, according to the physiological concept of Chris Farrell. Gentle Rebalancing Cream is a rich regeneration cream, in form of water in oil emulsion, for day a..
Moisturizing Mousse is a rich, soft cream, in form of oil in water emulsion. Moisturizing Mousse r..
Rich Reviving Cream is a rich, luxurious cream for lipid deficient skin. This unique emulsion tech.. Skin Smoothing Balm is a protective serum, in form of soft emulsion. Skin Smoothing Balm is ideal f..
Soft Face Cleanser is rich, lipid regulating and soap-free cleansing milk, in form of oi..
Soft Face Tonic is a mild tonic, filled with rich effective ingredients. This non-alcoho.. 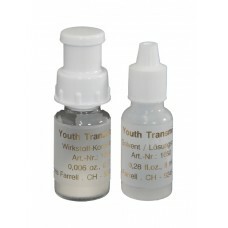 Youth Agrum has intensive and effective moisturizing property, which is based on apple a..